There are still tubs of unfinished new year goodies sitting around on the table. But why...why am I still thinking about baking? I tell myself, "Give yourself a break!" 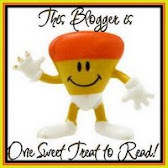 Or at least give your waistline a break! But I will be kidding myself if I say I am totally gonna go on diet. Perhaps I need something different besides those NY cookies, a cake maybe, an unusual sort of cake. :) My poor daughter has been bringing kueh lapis to school for the past 3 days for her recess snack. As much as I know it's one of her favorite, I also know that one cannot eat it continuously for so many days! Furthermore I have already had a long enough break (10 days) away from baking so why not just get busy now! But I ain't gonna toil away in the kitchen just yet...today I merely just whipped up a some sort unusual cake, simple yet delicious one though; Cheddar Cheese butter cake. 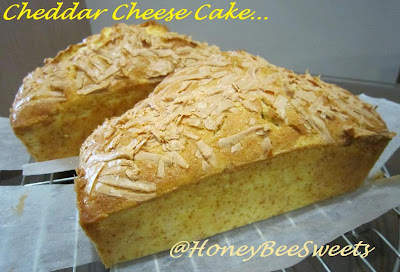 :) I know, you must be wondering if I have a typo or something...nope, you see right, it's Cheddar Cheese alright. Those that you sandwich between your buns plus your BLT. Indeed an unusual ingredient to be in a cake. But I was really intrigued by the usage of a savory cheese and how the end product will taste....is it salty or sweet? Since the recipe was really an easy one to follow, I just went ahead with it. Preheat oven to 180°C. Greased and lined 2 medium loaf tins with parchment. Cream the butter and sugar together till it's light and fluffy. Add eggs one at a time and mix well after each addition. Sift in 1/4 portion of the flour and baking powder into the egg mixture, followed by 1/3 of the buttermilk. Repeat this until all flour and buttermilk has been used and blended in. Stir in the shredded Cheddar and mix well. Pour the batter into the prepared tins. Bake in the oven for 40 to 45 minutes or till the tester comes out clean or with just moist crumbs. Cool the cakes on racks before slicing. So exciting! The Chinese New Year is just around the corner and everyone is just busy cleaning, buying, baking, and decorating! The mood is really in the air. :) It's been so many years since I am home, really home to enjoy this festive holiday with my family in Singapore. I remember the years in California, the first day of CNY is still a working day! And eating reunion dinner would be just me and my husband plus my girls. Not that mood if you know what I mean. It's really good to be home again. 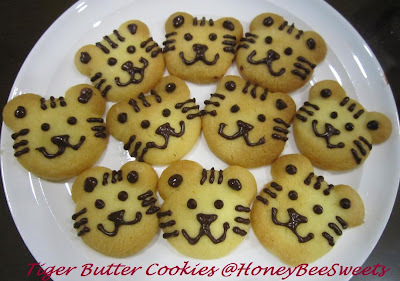 :) And in view of the coming Tiger year, I have decided to make some Tiger shaped butter cookies. :) These cookies are very easy to make, only took me 3 hours to complete them. I have adapted the recipe from Sonia (Nasi Lemak Lover) butter cookie recipe. I did make a slight change to the recipe by adding extra 25g of cornflour into the batter to make it a wee bit more firm. 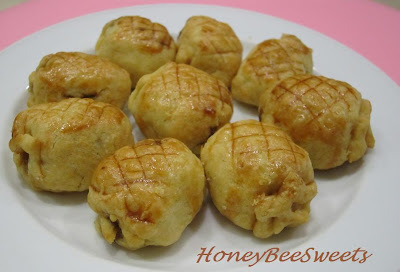 I actually planned to make these for my younger daughter's school CNY celebration next week. But thought I made some in advance for the family to enjoy. Indeed these cookies are light and crisp...and literally melt-in-your mouth, superb! 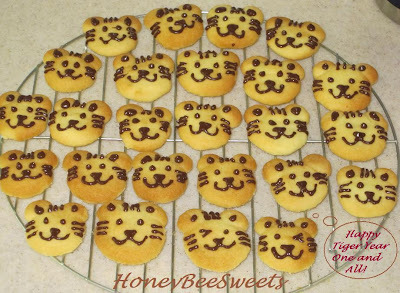 I simply just piped melted dark chocolate ganache over the cookies to draw out the tiger faces. My girls love the buttery light cookies and were even more amused after seeing the tiger faces and chocolate on top. I tasted it again the next day and it is still very good. :)Will definitely keep this recipe for next year. Yummy! 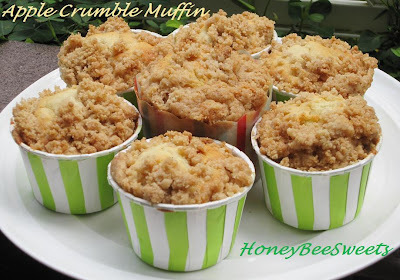 The next item I wanted to post is Apple Crumble Muffins. 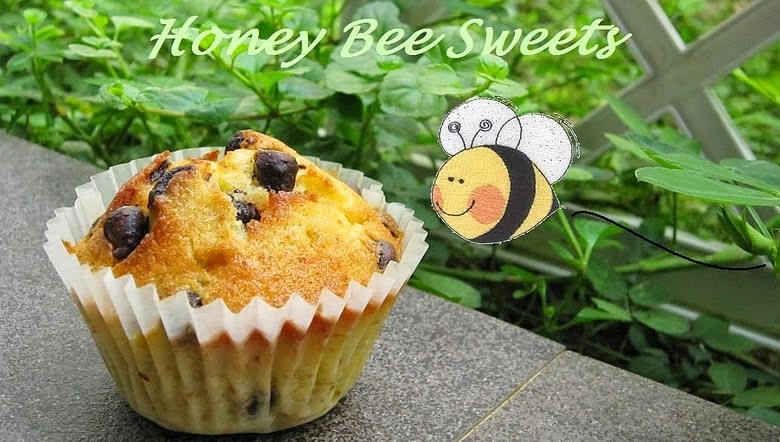 I made this mainly for my elder daughter to bring for snack during her recess time. She loves apples, whether it's fresh or made into apple pie, apple tarts etc. And lately she demands to eat apples everyday...at least half or 1 apple. So I thought why not make her something that she likes so much. 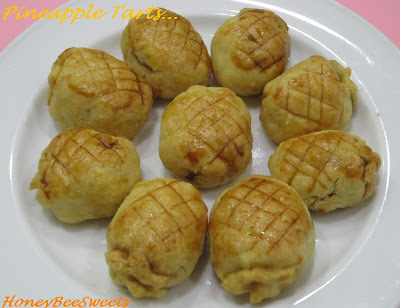 Using a small heat proof sauce pot, cook the apples together with the rest of the filling ingredients till it's semi-soft, about 10 minutes. Let cool before use. In another mixing bowl, mix everything in the crumble topping ingredients together. Using your finger tips to knead till it resembles bread crumbs. Set aside or refrigerate till needed. Sift the flour, salt, baking soda and baking powder into a bowl and set aside. Cream the butter and both the sugars together till light and fluffy. Add one egg at a time and beat till well mixed. Add vanilla extract and blend well. Add 1/4 of the flour mixture into the butter & sugar mixture and mix well. Then add 1/3 of the milk in and again mix well. Repeat till all of the flour and milk has been added. 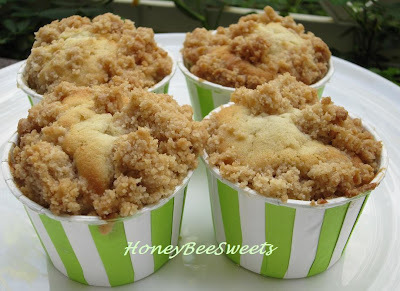 Stir in the apple fillings and pour the batter into the paper lined muffin tins to about 3/4 full. Then scoop about 1 tbsp of the crumble topping over the top, gently pressing a little to make sure it will stick. Bake in the preheated oven for 20 to 25 minutes till tester comes out clean and the top is golden brown. Remove from oven and let rest on cooling rack. I love the moist texture of this cake and the crusty salty sweet crumble toppings. Although the apple scent and taste is not as evident as I hope it is, but it was still a delicious delicate cake to enjoy. 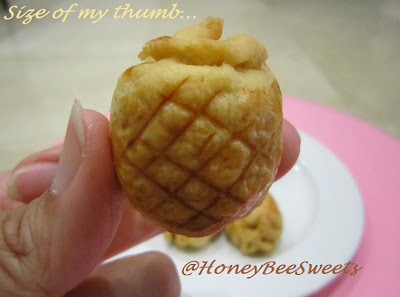 My daughter loved it and so did I. :) In fact this muffin is a delicious choice over the usual bread and butter. Perhaps the next time I tried this recipe again, I shall use Granny Smith rather then those China Fuji, which is less intense in apple taste. 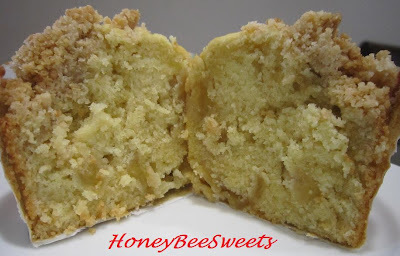 I would also reduce the cooking time for the apples so that it has more texture in the muffin. Interested? Do try it out...maybe after CNY. Sift flour, cornflour, confectioner's sugar, salt and baking powder into a large mixing bowl. Add cubed cold butter and use finger tips to knead the butter in till the mixture resembles bread crumbs. Mix the egg yolk with the vanilla extract, then add the ice water in. Add it to the flour & butter mixture. Stir and slowly stir mixture till it forms a soft dough. If dough is too dry and cannot form a dough, add another 1 tbsp ice water. At this point you can choose to chill the dough to be use next time or you can start wrapping the pineapple filling. Shape / decorate as desired. Anyway, I still have another last batch to bake tomorrow and I'll be done...will probably try to bake another cake & cookie before I close shop to enjoy CNY. 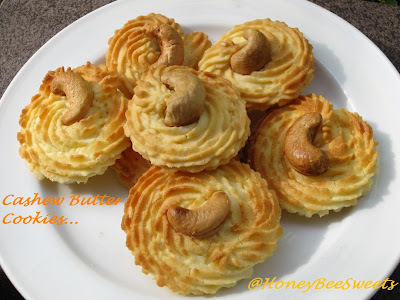 :) Have been seeing some really good butter cookies which I am really eager to try out...hopefully soon!! 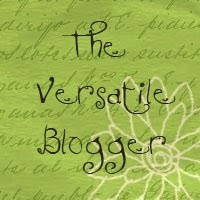 BTW, can you all believe it took me 2 days of 4 separate sessions (1 hr or 30 mins) to complete this post! Okay, enough jabbering...time to get some Zzzzz. 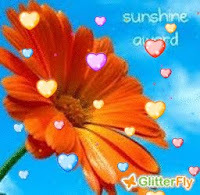 Have a good day all!! 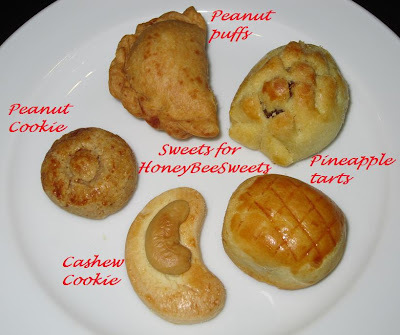 No, it's not pineapple tarts or some Chinese New year goodies. 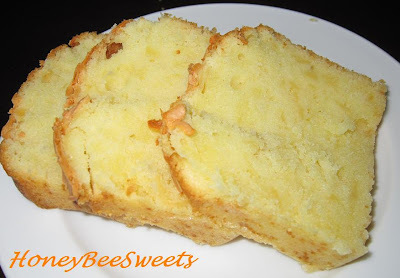 This time is another simple home bake cake for the family to enjoy. I figured I still have this weekend before the "Tiger" arrives, so why not! 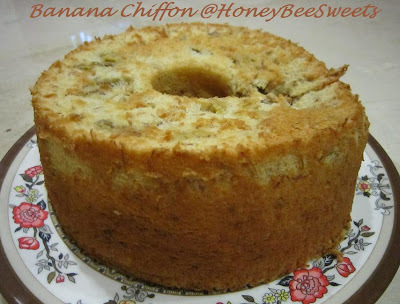 Okay, I made Banana chiffon, this is my 3rd banana bake in these few weeks. :P But seeing the banana going to waste just not my style, especially knowing that I can turn it into something delicious with a little work. But because I got a little carried away and added too much mashed banana...made my poor chiffon looks like The Colosseum! 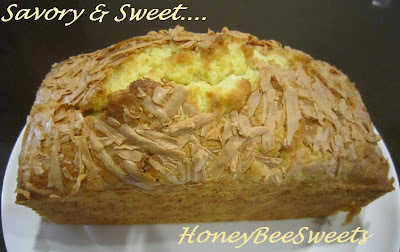 I have to thank Happy HomeBaker for this recipe. 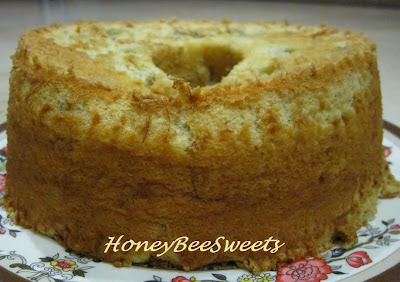 The cake was moist and light, much to what a good chiffon cake should be. I guess the only thing I would amend next time I make this is to reduce the sugar. 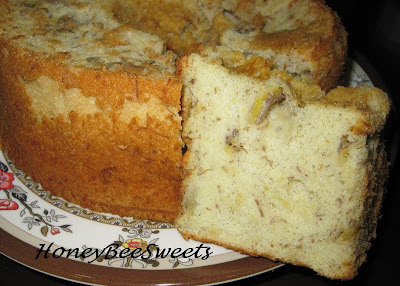 Actually I am not sure if it's the over ripe bananas contributing to the sweetness content. Anyway, a good reduction of 2 tbsps of sugar would have be perfect!I have doubled the recipe to make a bigger chiffon cake, plus a few small ones. Sift the flour and baking powder together and set aside for later use. Preheat the oven to 165°C. Beat the egg yolks with the 50g of sugar & salt till all the sugar & salt has melted. Gradually pour in the cooking oil and stir the egg yolk mixture consecutively till it's all incorporated. Add in the mashed bananas and vanilla extract and stir will till well combined. Finally sift in the flour mixture and making sure all flour is incorporated in and no lumps. In another large bowl, beat the egg whites with the cream of tartar till foamy. Then gradually add the sugar and continue to beat the mixture till it reaches stiff peaks. Gently fold the egg whites mixture to the yolk mixture in 3 separate portions and making sure all is mix in well. Pour into the ungreased tube pan and bake in the preheated oven for about 40 minutes or when the tester comes out clean. 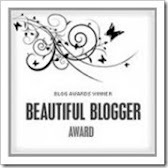 I think I will spare the other bloggers from the "pain" of having to come up with 10 happy things and 10 other blogs to be nominated. 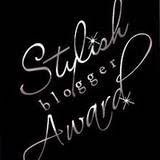 Furthermore, most of the blog I can think of has probably have receive this award! As much as I am honored to receive this, I kind of feel this is a "chain award" thingy...seems endless! Just make this a "Happy Ending" yeah? Lastly...thanks for staying and reading again. Have a good weekend all! My husband and I decided to go up to KL for a short get away last weekend. It was a really brief trip for me because I spent exactly 24hrs there and had to fly back to Singapore since my girls need to school today. But I have no complains because I still managed to see most of my good friends during this limited time frame and did most of the things I planned. What touched me the most is my friends had took the time out of their busy schedule to meet up with me with such short notice. Furthermore it was a rainy night! :P It was so good to see my dear friends again. Their warm smiles and bubbly laughter never fail to cheer me up. Seeing them made me realize how much I have missed them, just this 1 month period apart. Besides their , they have showered me with Chinese New Year cookies and gifts that money can never buy. I was quite speechless with gratitude for their ever generous friendship, and a mere thank you for them seems so inadequate. :( I really wish I had done more for them...and whatever I say seems like an excuse for not doing so. All I can promise is I will do better next time and always remember they are really more then just friends. :) Thanks ladies! 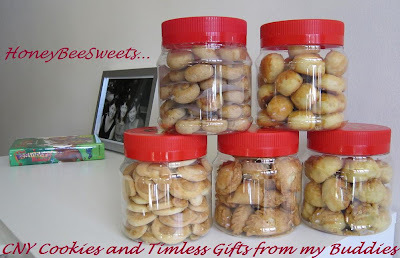 5 tubs of CNY cookies from my friends! That is why I say lucky me! All these are homemade by my 3 good friends, and ReeseKitchen herself already gave me 3 tubs! 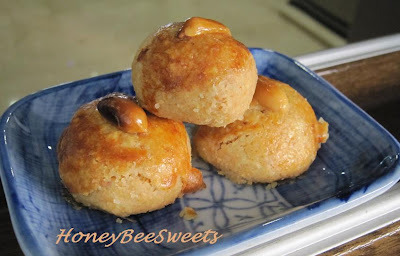 You guys should head to her blog and check out her latest post on CNY cookies. The other 2 tubs were from another 2 good friends Ee Peng and Siew Hoong. 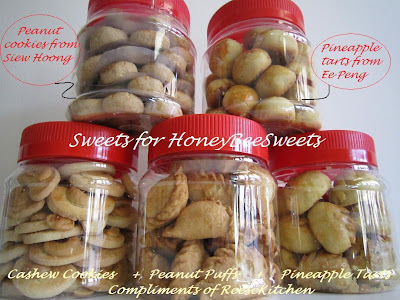 There are 2 tubs of pineapple tarts, 1 tub cashew cookies, 1 tub peanut puff and 1 tub peanut cookies. Thanks so much ladies!! Okay, if you have notice, the photo frame behind is not taken by accident...it is also a gift from my friend Ee Peng (taken by her husband TJ). This photo was "artistically" taken by her husband using those antic cameras can take B&W photos. He is really into photography and I was really please that he took a shot of us and actually frame it so nicely for us ladies! Again speechless with gratitude! :P Furthermore, I really love that picture...thanks Ee Peng & TJ. As for the book on the side, is from my dear friend Susan. She actually took the trouble to search for this book for me, knowing that I wanted it. She is really busy with her own home baking business and taking care of her 2 young infants. But I am truly happy that her baking business is picking up especially since she really have a flair for cake design. 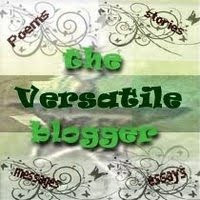 Do head over to her blog if you guys are interested. 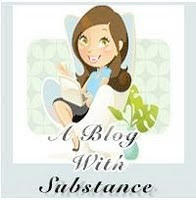 Her blog is Just Celebrate Cakes. Okay I know, I am way behind on my CNY cookies this year. But there just too many things to attend to, so I have to keep pushing it behind. But fortunately, I managed to squeeze out some time to bake a couple of cookies a week back. One of them is Assorted Butter cookies . 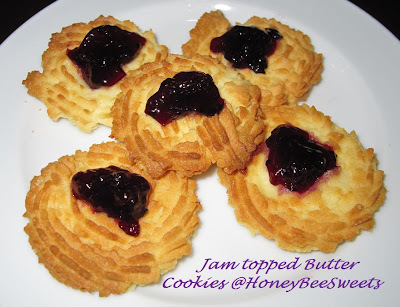 Assorted butter cookies because I used the same batter to top off with cashews, jam & sandwich with chocolate spread. The result was a buttery, slight crisp cookie. Preheat the oven to 165°C. Line a baking tray with parchment paper. Whip the butter and sugar together till light and creamy. Add egg one at a time and beat in till just combined. Add vanilla and mix well. Sift in cake flour and milk powder and stir till just mixed. Scoop the mixture into a piping bag with a big star tip. Pipe the cookie in circular shape leaving about 2" apart from another. 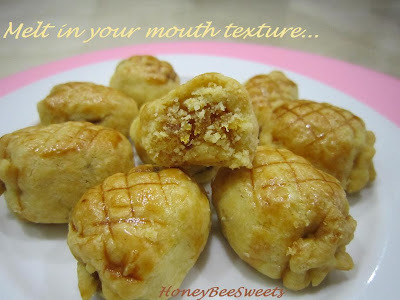 Lightly press a toasted cashew nut on top and repeat till all batter are used. Bake in the preheated oven for 20 minutes or cookies becomes light golden brown. Cool on rack and serve or store in airtight containers up to a week or so. Toast the peanuts in a preheated oven of 200°C, all evenly spread out on a baking tray for 15 minutes. Half way through the baking, toss the peanuts around to get even baking through out. Then transfer those peanuts into a large frying wok. Stir fry for 10 to 12 minutes at medium high heat till the nuts are dark golden brown. If some parts of the skin are charred, it's okay. Remove from work and spread on a cooling tray. When it's cool enough to handle, rub away the skins and shake to separate the nuts out. Save 1 cup of tasted peanuts for topping later. Ground the nuts using the blender till it is fine. Repeat till all nuts are finely ground. In a small sauce pot, heat up 300ml of the peanut oil. When it is warm enough, remove from heat. Add the caster sugar and salt, stir well till all is melted. In another large mixing bowl, mix the ground peanuts and flour together till well blended. Pour the oil mixture in and stir well. If too dry, add the remaining 25ml or more peanut oil till it is enough for you to form a dough ball. Knead the mixture well and start to form the peanut cookies. Preheat the oven to 190°C. Each cookie should be about 1.5 tsp amount and roll round. Place the cookie dough on the parchment lined baking tray and brush the surface with egg wash. Then gently top each cookie with toasted peanut. 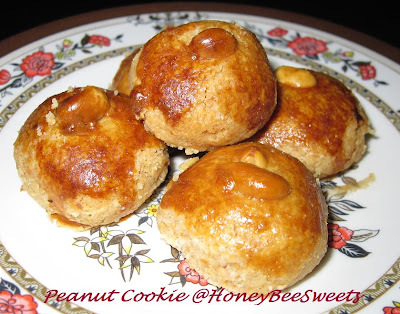 Bake the peanut cookies in the preheated oven for 15 to 20 minutes till golden brown. Cool on rack before serving.